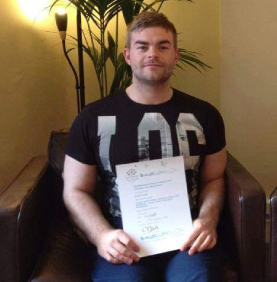 Ross Clark is a graduate of the Western School of Massage and is based here at Bridge of Allan Sports club. He holds diplomas in Sports and Remedial massage, Aromatherapy, Reflexology, Lomi Lomi and Therapeutic massage. He began his career in massage therapy in 2014 studying at Carnegie College in Dunfermline where he gained his ITEC diploma in Complementary Therapies and graduated with distinction. To complement his techniques he has attended numerous courses throughout the United Kingdom with highly respected trainers who helped to advance and refine his skill set. After attaining qualifications in Slavic, Hawaiian and Advanced hands free massage, Ross undertook a Diploma course in Sports and Remedial massage through the Western School and graduated in 2015. This year long course enabled him to incorporate postural analysis, mobilisation techniques, PNF stretching and myofascial stripping to help restore appropriate balance to his clients muscles and joints. Ross has a mixed client base which ranges from athletes who attend regular treatments as a preventive measure to injury and helps them train more effectively for events, alongside those who suffer from musculoskeletal conditions such as, fibromyalgia and arthritis He regularly also sees those who suffer from specific conditions such as tension headaches, migraines, piriformis syndrome, sciatica, lower back pain and muscular imbalances. Ross is also a member of the Federation of Holistic therapists and regularly attends CPD courses to further his knowledge and skills. In 2018 he started his Bodymaster Diploma with John Gibbons in Oxford and plans to complete it during 2019.